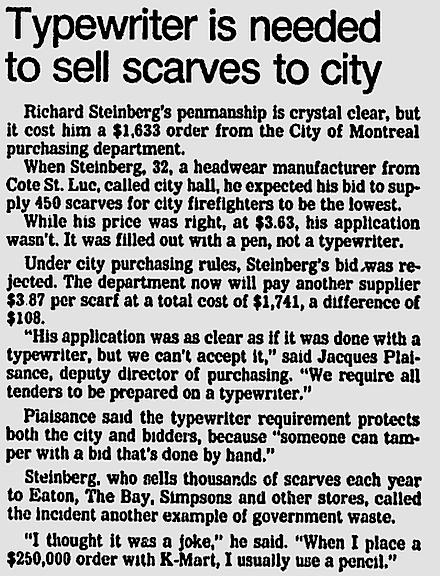 While researching for a future blog post, I found this in the Montreal Gazette. Article published April 1, 1982. And I thought the U.S. government did stupid things! Good to see someone still wants to make use of typewriters though.